Time to explore the flora and fauna of the New World! Today we are taking a closer look at the resources and dangers of the swamps. 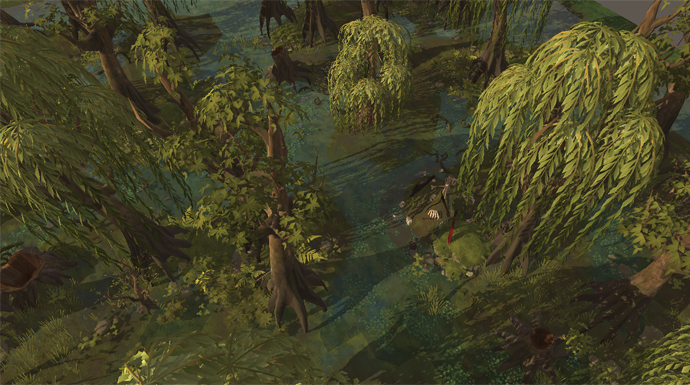 It is time to look at the third biome that will be in the Final Beta: the swamps! What can you expect the biome to look like? 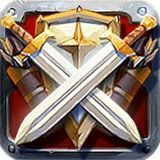 What resources can you find? Which dangers lurk around the corner? The Heretics can be found in every biome, and the swamps are no exception. The real danger lies deeper in the swamps, where the Undead reign the land. They wander around their destroyed fortresses, attacking adventurers on sight. Do you dare to venture in the skeletons’ wasteland? 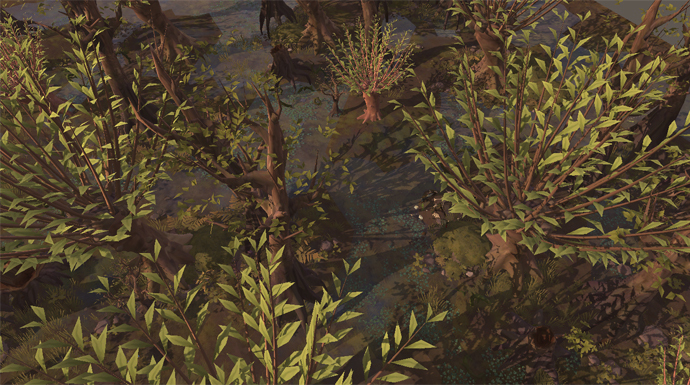 The following three resources can be found in the swamps: Fiber, Wood and Hide. Fiber is the most abundant resource, which can be found near the numerous rivers, water patches and lakes in the swamps. If you are looking into becoming a Fiber harvester, the swamps are the place to be! The second-most common resource is Wood, as the moist swamps are the environment for various types of trees to grow and flourish. Lastly, there is Hide. While not the most commonly found, you will see various amphibians slithering and hopping through the swamps. Skin them for their hide! 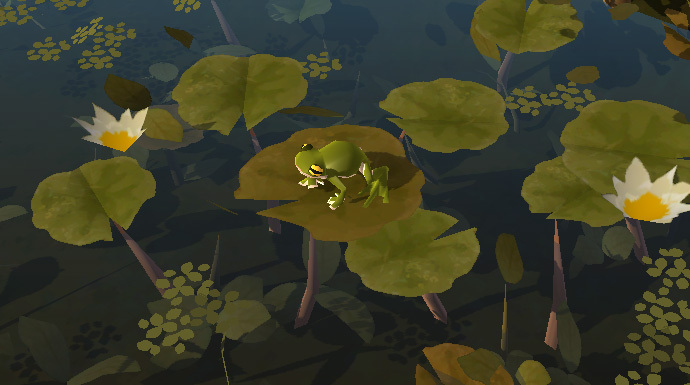 Frogs happily jump around the swamps, completely harmless to any roaming adventurer. 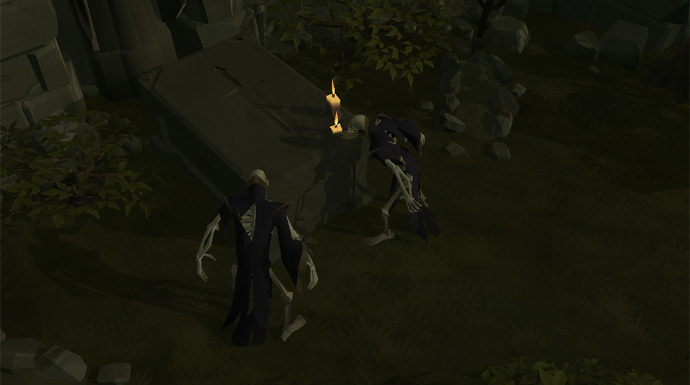 They can be skinned for Tier 1 Scraps of Hide. 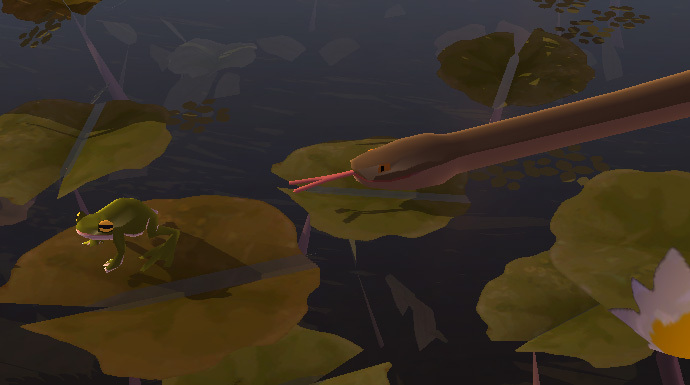 The snake slithers through the swamps. They will not attack you on sight, but will fight back if you decide to attack them. Skin them for Tier 2 Rugged Hide. The Giant Toad is the Frog’s older (and uglier) brother, which can be skinned for Tier 3 Thin Hide. 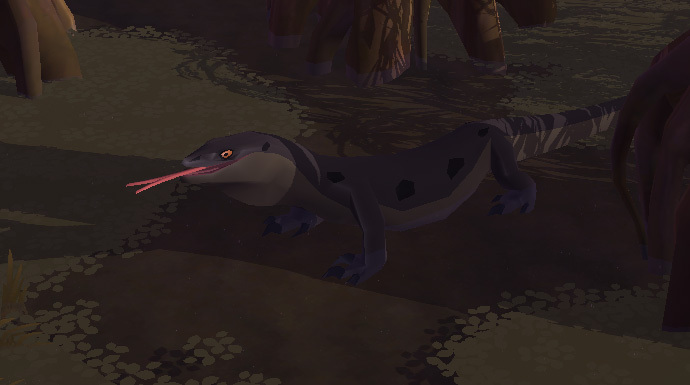 Don’t get too close, because it will attack you with its giant tongue! The Monitor Lizard is a very large reptile that moves around on all fours. 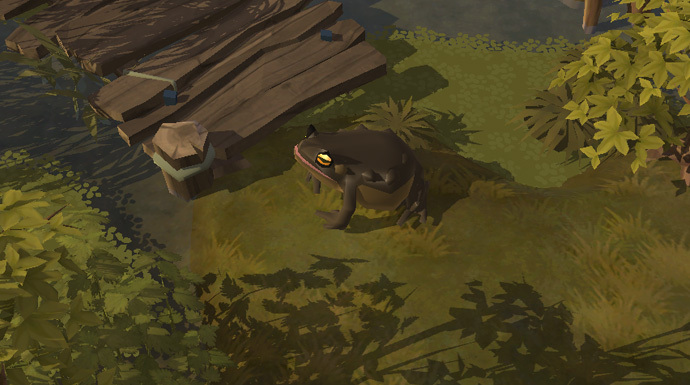 Kill and skin this amphibian to obtain Tier 4 Medium Hide. 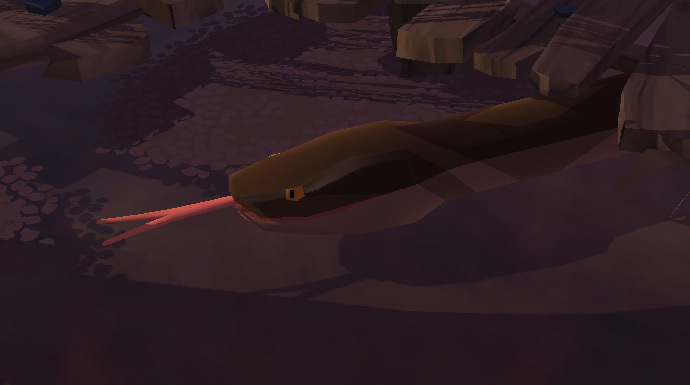 A long and thick danger glides through the swamps: the Giant Snake! Slay and skin this beast to get your hands on Tier 5 Heavy Hide. The Swamp Dragon is the king of the swamps! 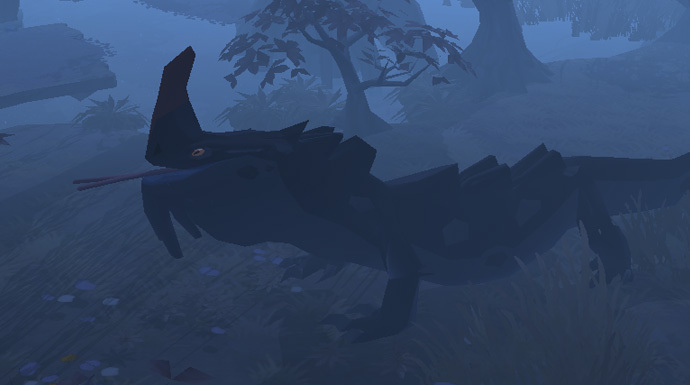 This giant lizard can be skinned for its Tier 6 Robust Hide. 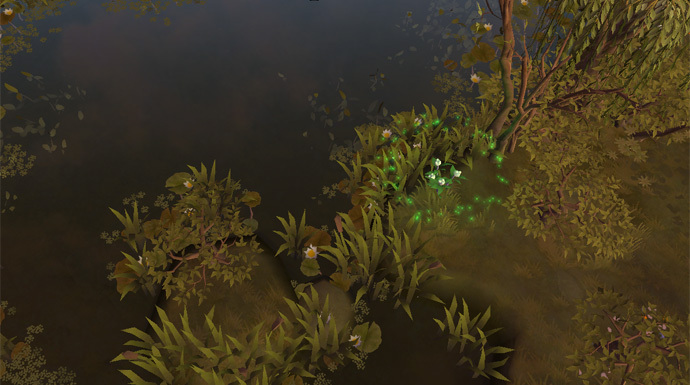 There are no Tier 7 and Tier 8 Hide mobs in the swamps. 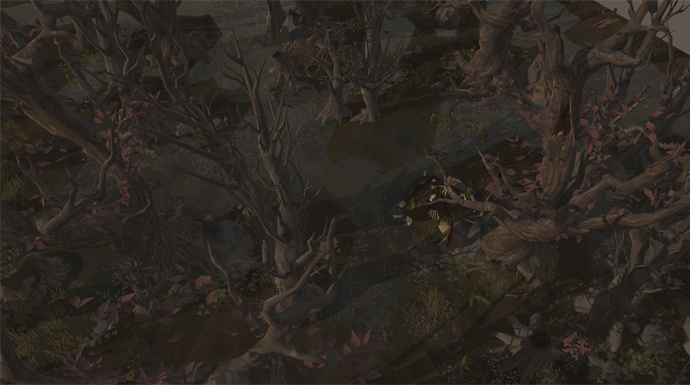 However, until the forest biome is added into the game, you might spot an occasional Dire Wolf in the swamps. 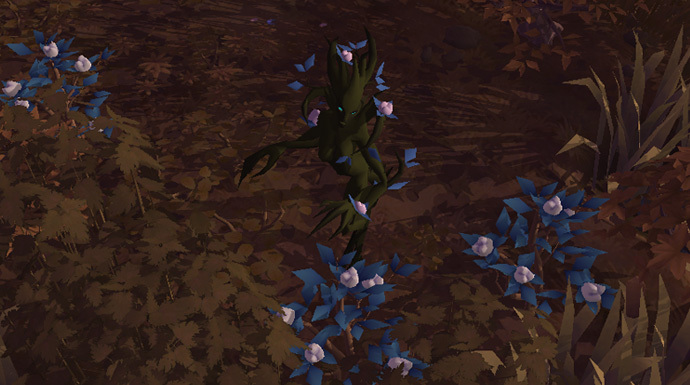 The swamps are protected by a beautiful Spirit, which is deeply connected to the Fiber and will protect it at any cost. Slaying her will transform her into a fiber node, which you can harvest if you have the correct Sickle at hand. Will you turn the swamps into your home? Let us know in the comments below!